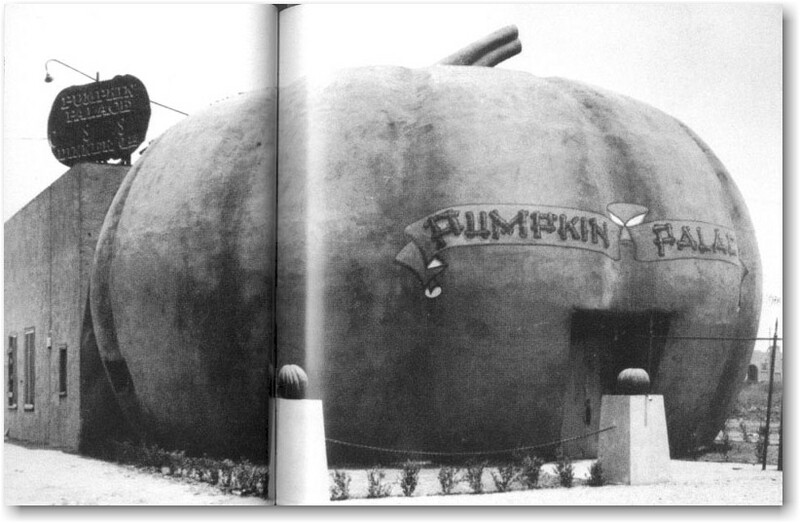 Image above from "California Crazy & Beyond - Roadside Vernacular Architecture" by Jim Heimann. 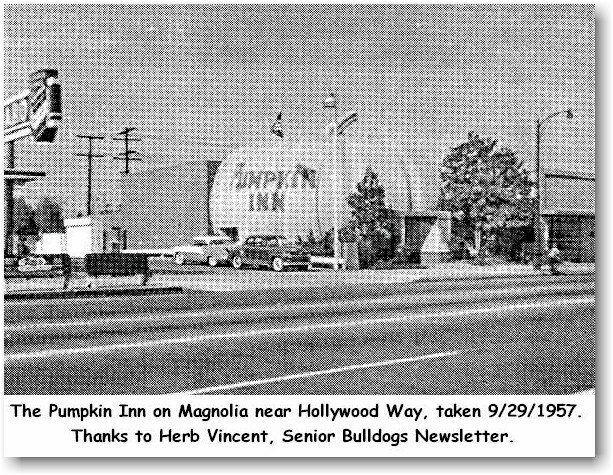 The text states that the image above is from 1927 and that the building was located on 3611 Magnolia Blvd. 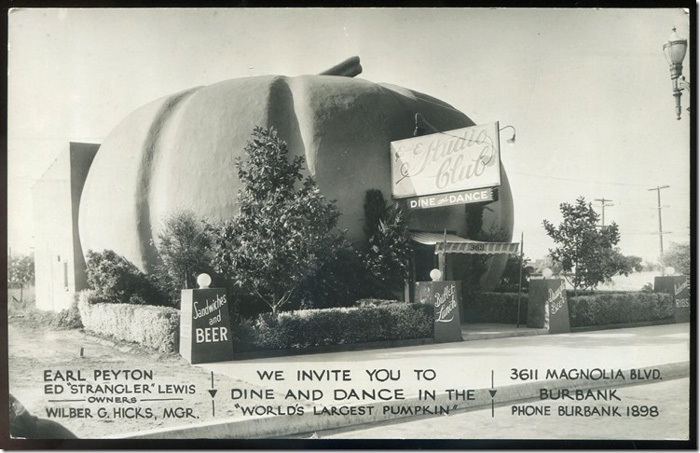 The sign atop the building says, "Pumpkin Palace, C S S, Dinners $1.28 (?)." 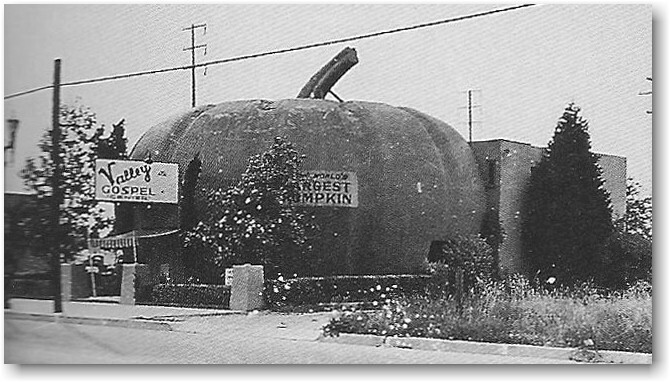 Image above from "California Crazy & Beyond - Roadside Vernacular Architecture" by Jim Heimann. 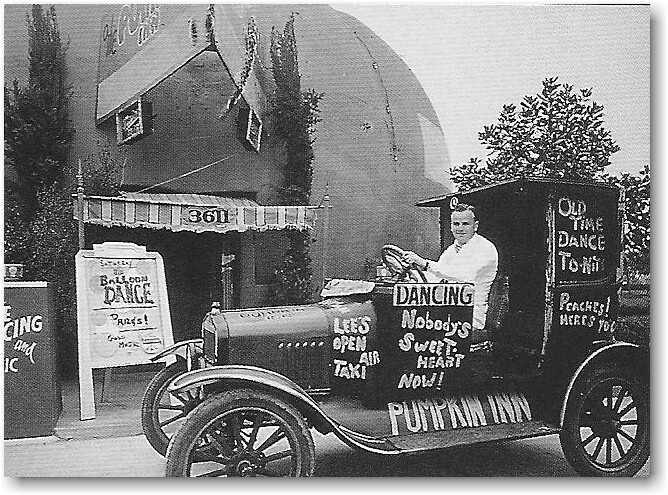 The text states that this is a shot of a promotional car for the Pumpkin Inn. Image above from "California Crazy & Beyond - Roadside Vernacular Architecture" by Jim Heimann. 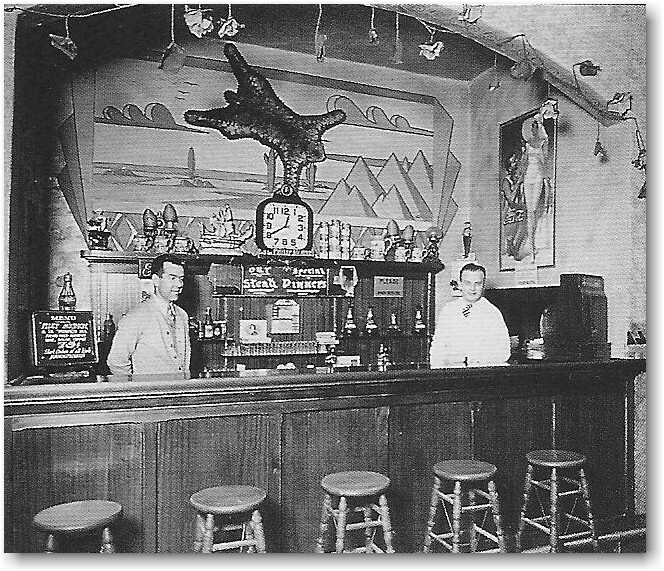 The text states that this is an interior shot c. 1930. 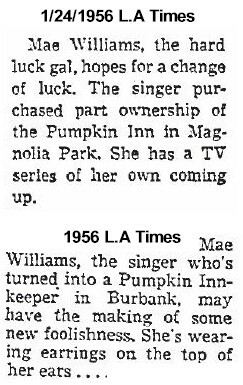 At some point in its history it was called The Studio Club. 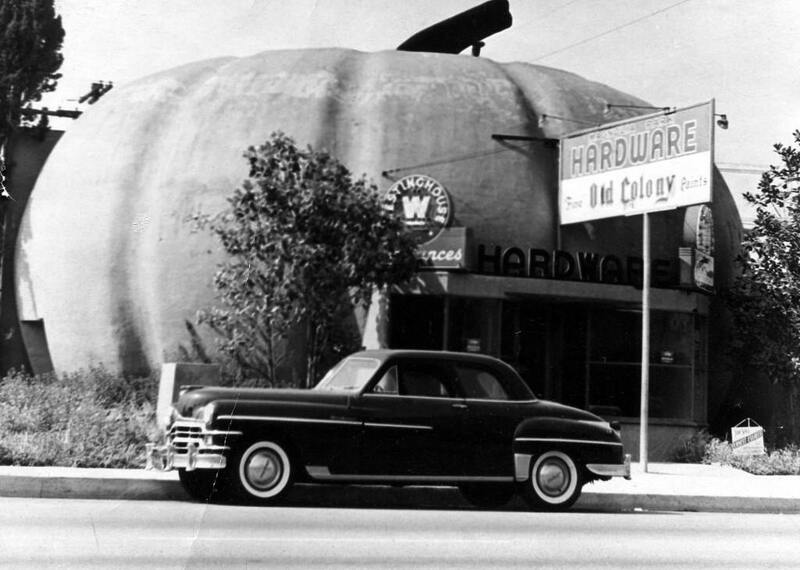 Image above from "California Crazy & Beyond - Roadside Vernacular Architecture" by Jim Heimann. 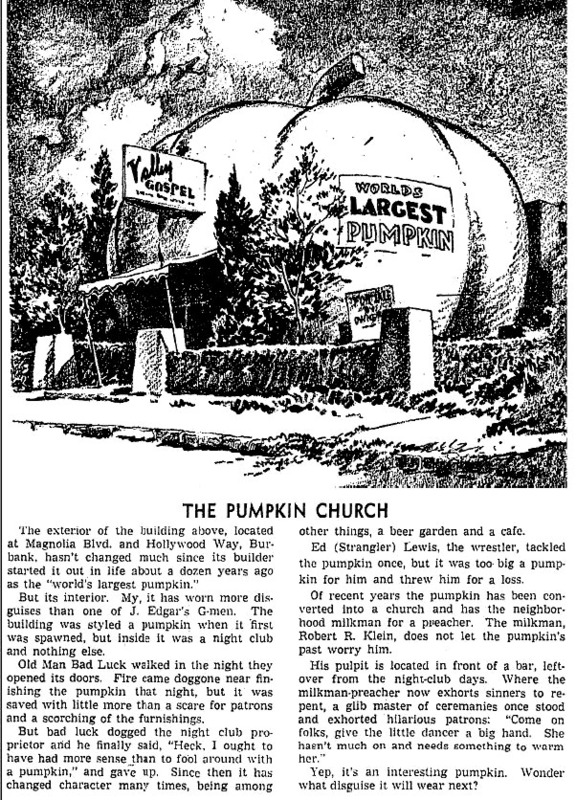 The text states that, "Its days as a cafe/roadhouse complete, the Pumpkin Palace receives an innovative reuse as the Valley Gospel Center, c. 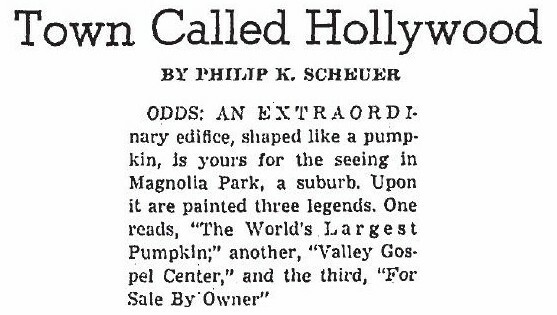 1935." 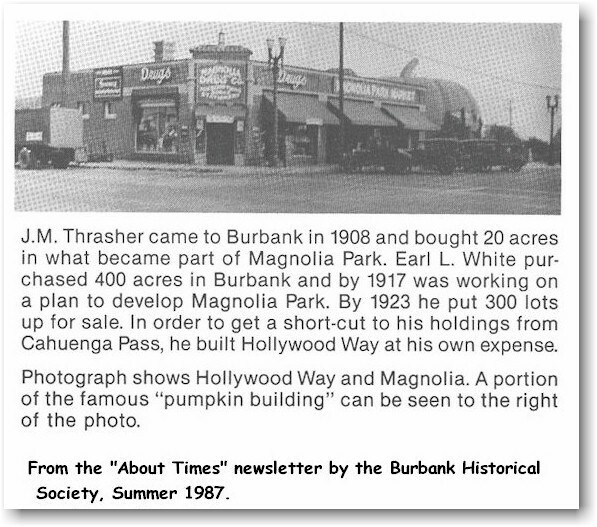 Image above: At some other point in its history (the grown shubbery compared to the 1927 image suggests the 30's) the Pumpkin House was in use by a real estate firm.